This smoke-free hotel features 3 restaurants, an indoor pool, and a fitness center. Free WiFi in public areas and free self parking are also provided. Additionally, a bar/lounge, a coffee shop/café, and a spa tub are onsite. All 200 individually decorated rooms provide free WiFi, free wired Internet, and pillowtop beds. For a bit of entertainment, guests will find LED TVs with digital channels, and other amenities include room service and premium bedding. 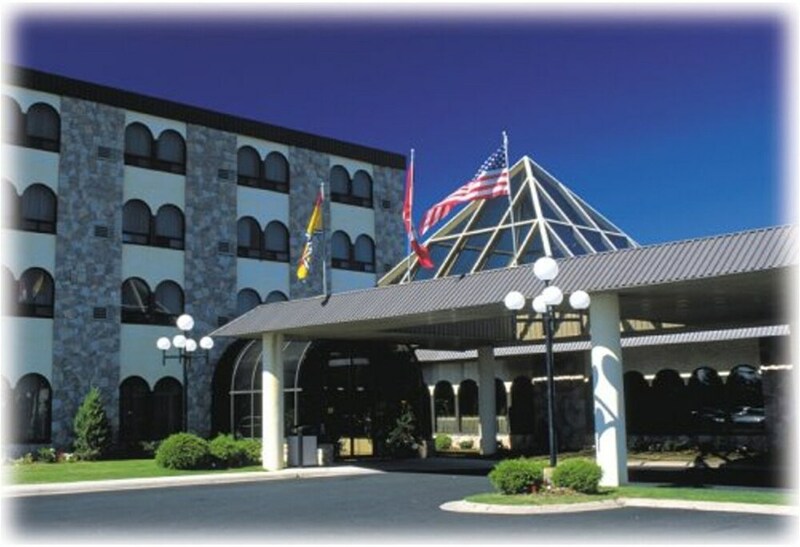 In addition to an indoor pool, Fredericton Inn provides a spa tub and a fitness center. Dining is available at one of the hotel's 3 restaurants and guests can grab coffee at the coffee shop/café. A bar/lounge is on site where guests can unwind with a drink. A computer station is located on site and wired and wireless Internet access is complimentary. This 3-star property offers access to a 24-hour business center. Event facilities measuring 200.000 square feet (19 square meters) include a conference center. This business-friendly hotel also offers multilingual staff, ski storage, and a picnic area. Onsite self parking is complimentary. Fredericton Inn is a smoke-free property. Full breakfasts are available for a surcharge and are served each morning between 6:30 AM and 11:30 AM. Fredericton Inn has 3 restaurants serving breakfast, lunch, and dinner. BRASS RAIL - Overlooking the garden, this family restaurant specializes in American cuisine and serves brunch and light fare. Guests can enjoy drinks at the bar. A children's menu is available. Open daily. REGENCY ROOM - This fine-dining restaurant specializes in American cuisine and serves light fare only. Guests can enjoy drinks at the bar. A children's menu is available. Open daily. Start your morning with a full breakfast, available each day from 6:30 AM to 11:30 AM for a surcharge. Room service is available during limited hours. A resort fee is included in the total price displayed. The property has connecting/adjoining rooms, which are subject to availability and can be requested by contacting the property using the number on the booking confirmation. This property allows pets in specific rooms only (surcharges apply and can be found in the Fees section). Guests can request one of these rooms by contacting the property directly, using the contact information on the booking confirmation. Parking height restrictions apply.